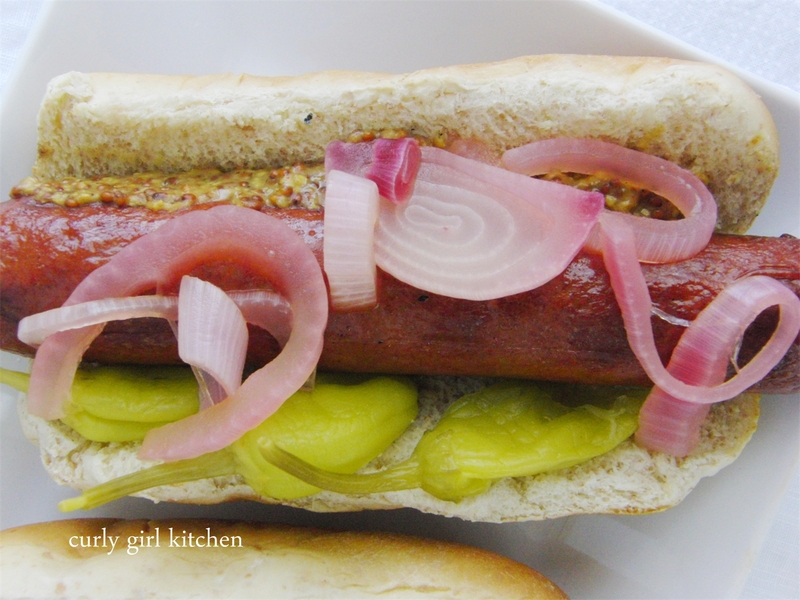 On the drive from North Dakota back to Colorado a few weeks ago, I was craving a hot dog for lunch. But with lunch options on that quiet stretch of highway being fairly limited, I never did get a hot dog, so we grilled hot dogs for dinner one weekend after we got back. We topped them with stone-ground mustard and banana peppers, and red onions that Jamie pickled. 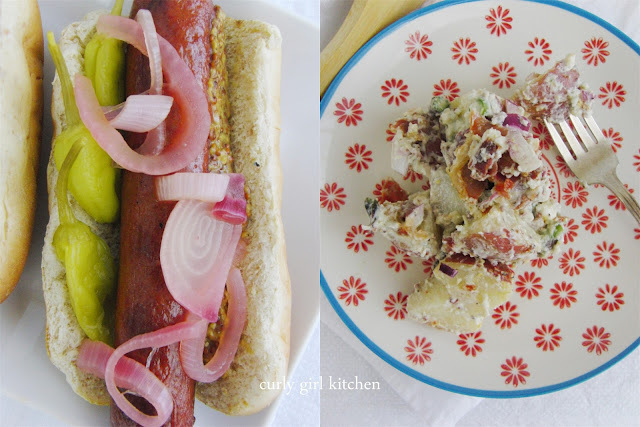 A summery meal like grilled hot dogs isn't complete without a side of potato salad, and I love potato salad. Jamie, not so much. 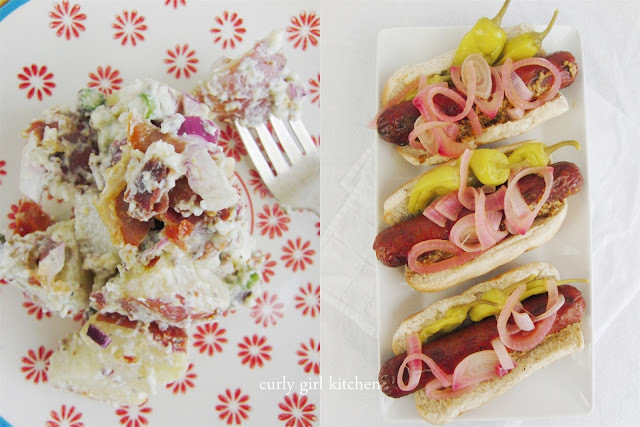 So I'm always trying to come up with potato salad recipes that I think he'll enjoy, unlike the typical mayonnaise slathered potato salad with hard boiled eggs that he hates. 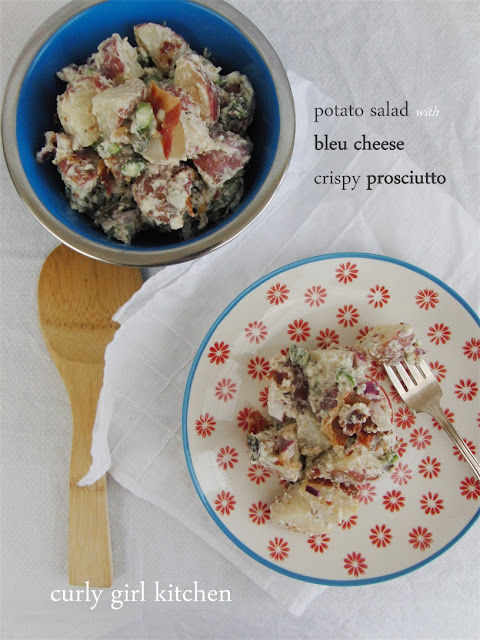 So for this summer's recipe, I added crispy pieces of prosciutto and diced red onion for a little crunch and bleu cheese crumbles for a nice tang. I had intended to add diced celery, also, but we didn't have any on hand, so instead I sliced up some raw asparagus stalks. For the dressing, a combination of just a little sour cream, mayonnaise, olive oil and mustard, with salt, pepper and white vinegar was simple but yummy. 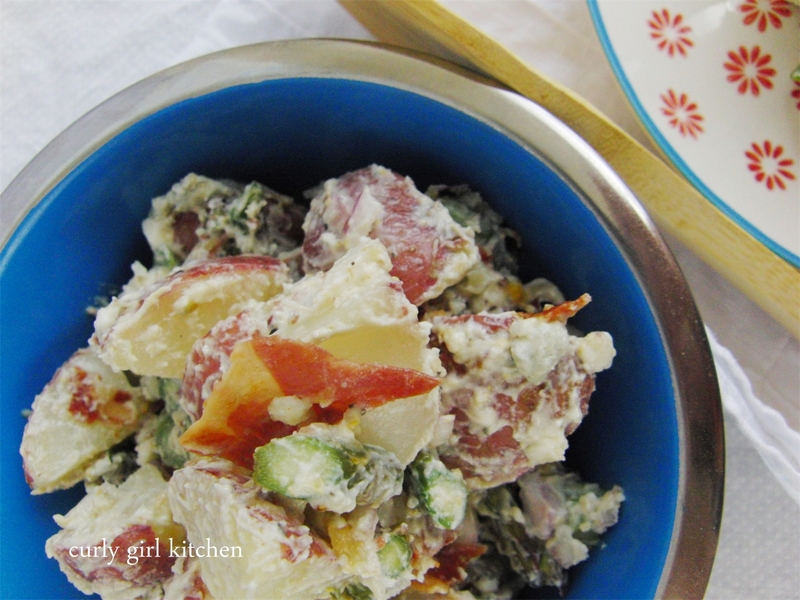 And potato salad is one of those dishes that just seems to get better as it refrigerates, so the leftovers are just as good as the first bite. Quarter the potatoes; place in a stock pot and cover with water. Bring to a boil over medium high heat and cook just until tender, but not so soft that they fall apart. Drain and cool to room temperature. Heat the olive oil in a skillet over medium heat. Add the prosciutto and cook until crisp. Set aside to cool and crumble into pieces. 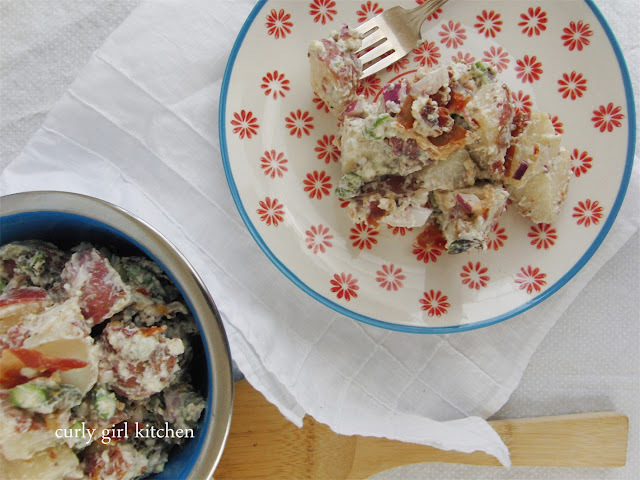 In a large bowl, combine the potatoes, prosciutto, celery, red onion and blue cheese. In a separate bowl, whisk together the dressing ingredients then drizzle over the salad and toss to coat. 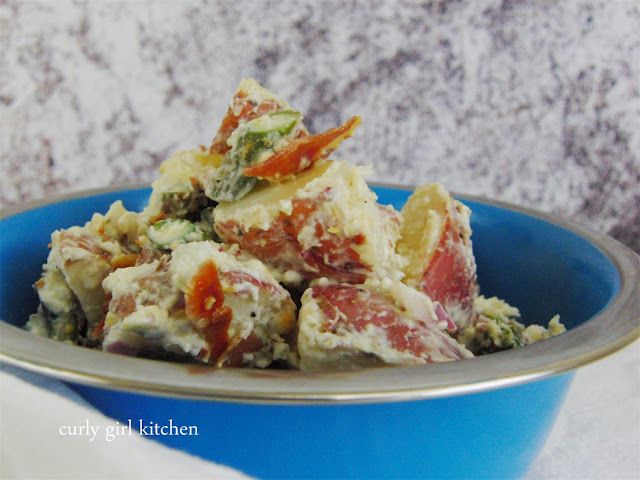 Refrigerate for several hours to chill before serving.